Details, Details, Details, its no wonder your head is spinning. My free wedding planning checklist will be your guide to keep you sane and on track while planning all the items on your “to do” list. So many brides get caught up on one detail that they forget something else. In order for that not to happen to you, I strongly recommend that you print this free checklist and update it every time you complete a task. Make notes as to where you are with each item and don’t be afraid to ask for help if you start feeling overwhelmed. This free wedding checklist assumes you have 12 months or more to plan before your marriage. After you have spoken to all parents, arrange a get together if they haven’t already met. Announce engagement in the local newspaper. Prepare a preliminary guest list . 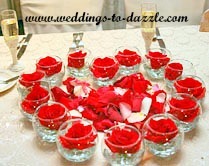 Decide what type of wedding (theme, formal, informal, destination) you would like to have. Prepare a list of everything that is important to you and what items you are willing to compromise on. Purchase or DIY wedding organizer (note book) and wedding box (wrap a fairly large box to contain your contracts, ideas, pictures of items that you like, magazines, samples of fabric and anything you don’t want to lose). Discuss your wedding budget with your fiancé and all parents and determine who will pay for what items are on your checklist. Attend several bridal shows, talk to the vendors and obtain ideas from planners and other brides. Read bridal books, research internet articles and web sites to gain information. Talk to your friends and recent brides to garner thoughts and ideas. Research reception and ceremony locations. Determine the season of the year you would like to marry and choose an officiant, ceremonial place (church, temple, mosque, outdoor site) and venue . 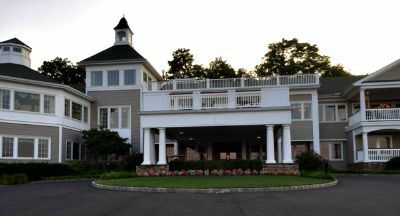 Book the above as soon as possible because many popular officiates and reception halls are booked 1 – 2 years in advance. Book music DJ or band. Decide if you will use a wedding planner and if so, begin interviewing consultants. Block out hotel rooms for out of town guests. Decide who you and your spouse will ask to be in your bridal party. Begin researching and book a photographer and Videographer. If you are not hiring a professional, ask a trusted friend or relative to take your pictures for you. Hint: They may take your pictures for free but you probably will want to buy them a thank you gift. Research bridal gown and bridesmaid’s dresses. Research groom’s tuxedo/suit and groomsmen’s attire. 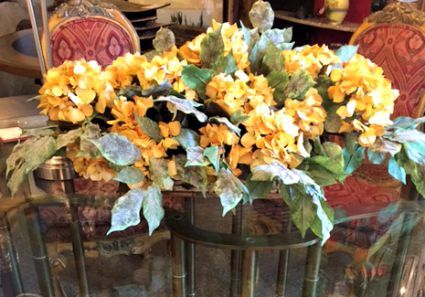 Make some floral decisions (fresh, dried or silk) and decide if you want to hire a local florist, wholesaler or internet florist. Research what type of cake you would like to have. 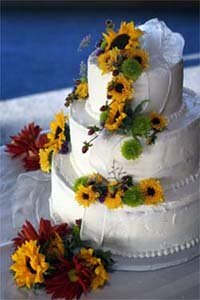 Make a checklist of what you want with regard to your cake. Determine if you will put up a web site. Some web sites are free and others require a small fee. Confirm all of the above free wedding checklist items. Finalize any items from the above list that are not finished. Make all decisions regarding your rings, theme and wedding style. Contact your maid of honor, bridesmaids, best man, groomsmen, flower girl and ring bearer and ask them if they will honor you by being in your bridal party. Make sure they understand and agree to carry out their duties. Together with your honey and all parents finalize your guest list. Choose and purchase your wedding bands. Purchase your bridal gown, veil, headpiece, accessories (bag, shoes, undergarments, hosiery, gloves) and have your attendant’s purchase their attire. Purchase groom’s tuxedo or suit. Order rentals for groomsmen and ring bearer. Begin researching honeymoon options. Decide if you need to talk with a travel agent or if you can book your own arrangements. Order your cake and groom's cake (if you are having a groom's cake) if your hall does not provide one. Research and book your transportation. Contact your city or town’s clerk’s office to determine what requirements are needed to obtain a marriage license. Verify and determine if all of your documents are available and updated i.e. passport, birth certificate, religious papers, residency requirements. If you are hosting a web site remember to keep it updated. Verify that you have completed the above free wedding checklist items. Stay focused and be sure that the above tasks are completed. Select and order invitations, programs and stationery. Make your appointments for physicals. Begin shopping for your, trousseau. Confirm that all brides, grooms and bridal party attire has been ordered. Research and make appointments for hair, nails, makeup and massages. Visit an attorney if you are having a prenuptial agreement. Visit stores and sign up for your gift registry. Make a checklist of all items that you will need. Remember, some brides register with their travel agent. Start planning your ceremony and reception music choices. Update your web site if you are using one. Make certain all tasks on your free wedding planning checklist are finished. Go through your list and finish all elements that have not been tended to. 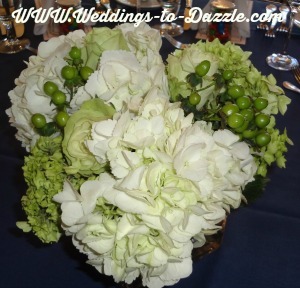 Finalize your arrangements with your florist, photographer, and videographer. Begin making arrangements for the ceremony rehearsal and rehearsal dinner. If you are going to have your invites printed by a calligrapher do your research and book now. If you are not using a bridal planner, ask a close friend or family member to help you and be your wedding coordinator. Affirm that all items on your free wedding checklist that you thought was done is actually completed. Discuss and decide your vows, program and details of your ceremony (unity candle, pouring of sand) with your groom. Meet with your officiant to finalize the details for your ceremony. Place announcements in local newspaper and church. Prepare directions to the ceremony and reception. Confirm the rehearsal dinner plans. Plan bridesmaid’s luncheon and any other parties. Meet with your DJ or band and give them a list of songs, announcements, first dance, parent’s dances and any other preferences that you may have. 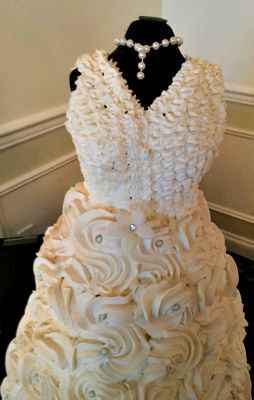 Purchase a cake knife, toasting glasses, garter, candles and any other items that you would like to have for your ceremony and reception. Choose and purchase gifts for your attendants, parents, spouse and helpers. 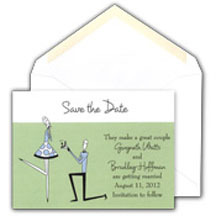 Begin addressing the invitations or bring them to the calligrapher. Either you, a trusted person or your wedding planner has confirmed that all of the above free wedding checklist items are in fact finished. Schedule fittings for your gown. If you are not using a wedding planner have a trusted friend review this free wedding checklist to determine that you haven't overlooked any items. Set appointment with photographer for formal portraits. Have a trial run for your hair and makeup. Write thank you notes and make a list of gifts that you receive as they arrive. Finalize the program for your ceremony. If you are changing your name, complete the appropriate documents. Reserve a room for your wedding night. It is important to make sure that all of the above free wedding checklist items are confirmed. Make your seating chart and write or have your calligrapher write your place cards. Have your first bridal gown fitting. Relax and spend some quite time with your fiancé. Pick up marriage license if not previously available. Take gifts to your new home. Meet with all vendors to discuss last minute details, confirm date, time and payments. Assign someone to take your wedding gifts to your new home after your reception. If necessary, arrange for a reception babysitter. Purchase or rent a bridal runner for the ceremony. Purchase bubbles, confetti or whatever you are using to celebrate when you are leaving your ceremony. Contact any guests who did not respond to your invitation. Con't let any items slip past you, verify all of the above free wedding checklist items have actually been finalized. Finalize reception seating chart and bring to the caterer. 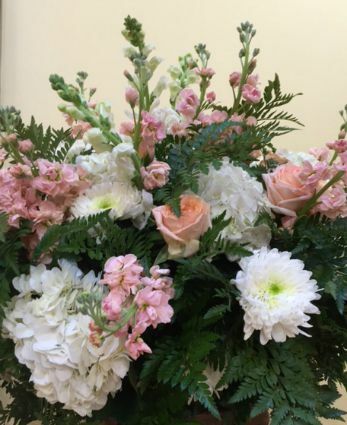 Confirm delivery time and locations with your florist. Review seating details with ushers. Confirm that all bridal attire fits correctly. Pick up wedding gown, attendant’s gowns and all accessories. Remind all men to get their final fitting and pick up their tuxedos or suits. Reconfirm everything with all vendors and catering hall. Pack for honeymoon. Present wedding party gifts at the rehearsal dinner. Discuss who and how much you will tip your vendors and etc. with your groom. Make sure you have the necessary money in your account to cover tips and any other expenses. You're almost there, continue to follow this free wedding checklist to have a perfect wedding day. Get manicure, pedicure and massage. Put together a tip envelope for the vendors, officiate, Maitre d, limo drivers, musicians, singers, photographer and Videographer, florist and anyone else that you are tipping. Reconfirm your hair and makeup appointments. Talk with everyone in your bridal party, parents and the person you assigned as your wedding planner to be certain they know where, what and when they will be assisting you. If the ceremonial hall and reception place permits, bring everything that you will be using and ask that your items be placed in a safe place. Layout everything that you will need for the next day so you don’t have to rummage through closets and drawers. Go to bed early and get as much sleep as possible. Have something to eat even if you don’t usually eat breakfast. Give the best man your honey’s ring. Spend a quiet moment looking at yourself in the mirror and take a picture in your mind. Set aside a few minutes with your husband and enjoy your wonderful wedding. The above free wedding checklist is a comprehensive guide that I hope makes your planning easier and less likely to forget something that is important to you. Please click on the links below for more planning tips and ideas. Come browse some great planning ideas.